After months of dreaming of this idea and procrastinating – it’s finally done! I had wanted to do custom labels and containers for a while now. 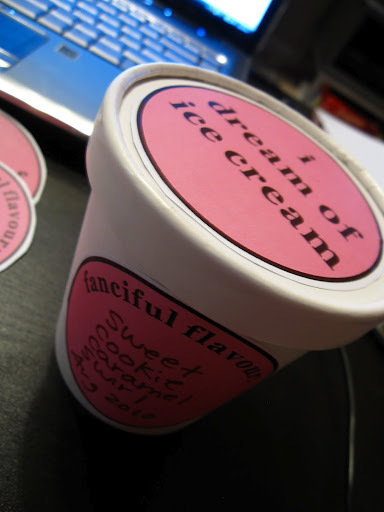 I finally sourced a great company that sells small quantities of cardboard pints (Sweet Bliss Containers) and it was really up to me to make up the labels. I struggled to think of a name…I mean – this is IT! Well, not exactly, but I wanted to pick one theme and stick with it. 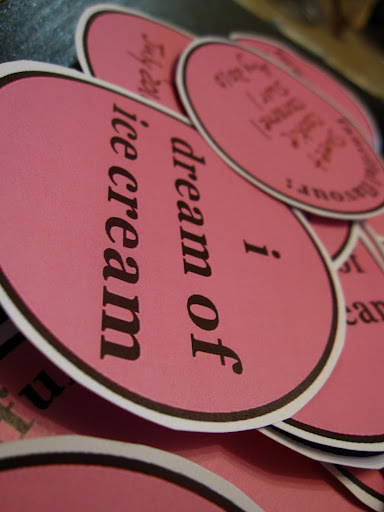 Then it came to me, “I dream of ice cream” (which I do!) – in pink and brown, of course. 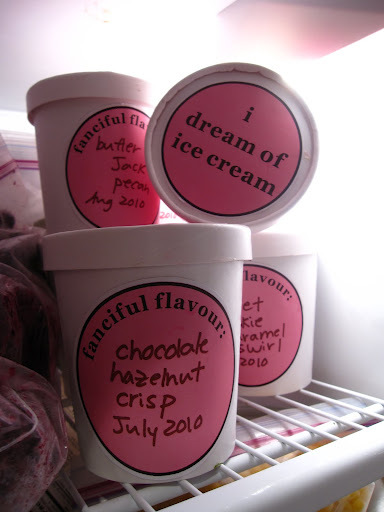 Each container has the “i dream…” label and then their “fanciful flavour:” complement. 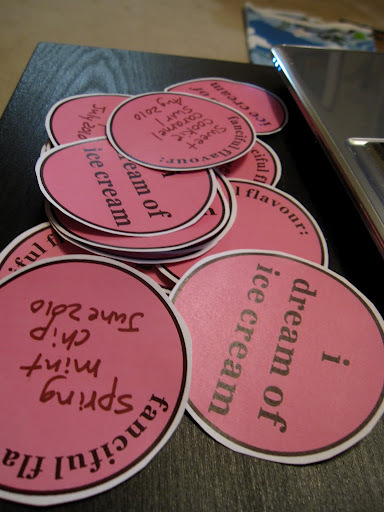 A couple of shots of my new labels – post-print & cut and pre-stick! Let’s hope the glue is good enough to adhere even in the freezer! It's so professional! Looks fantastic, Billie-Ann. 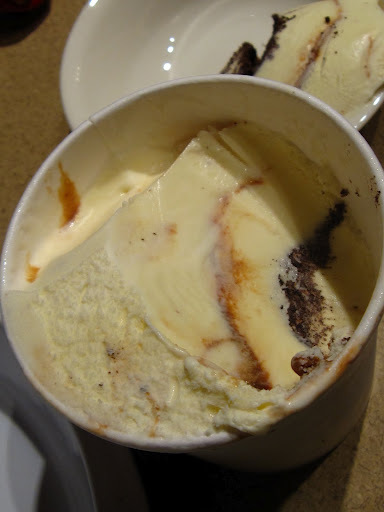 Want to sell me a tub?